I'm currently on vacation && loving every minute of getting away! 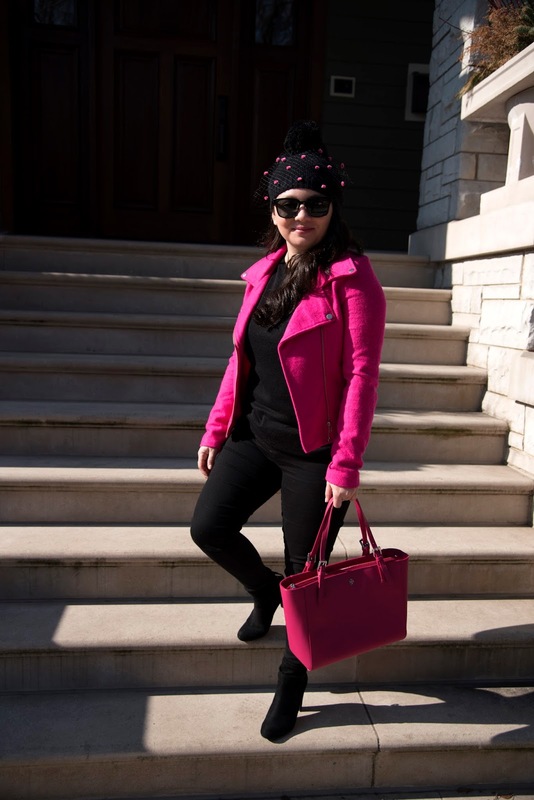 With Valentine's this week I thought I would start it off with a little pink. Okay maybe not a little, this is some bright pink! I bought this coat years ago at Chicago boutique and I just had to have it. I originally wore it like this! Sometimes wearing a color that is loud is not really easy for most. So I've come up with 3 ways to wear a bright pink. 1. Start small. Maybe try your lip. Or nail polish. 2. 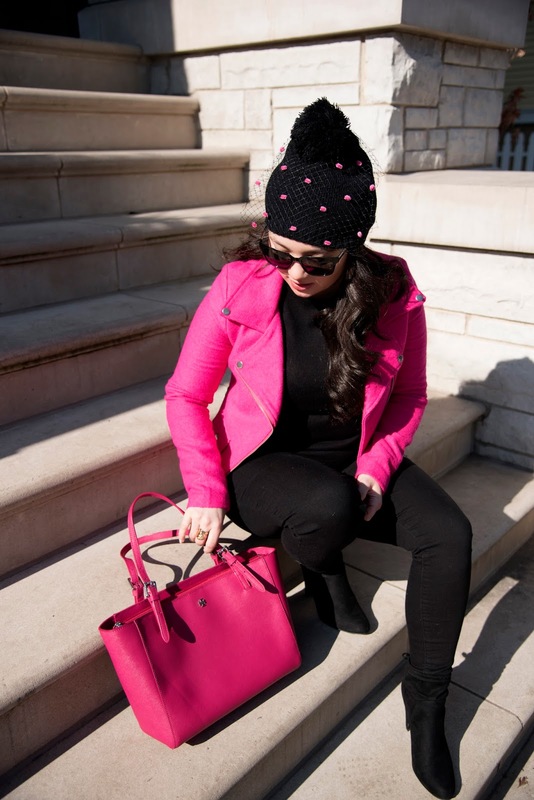 Find the pink that works for you. This one is more on the fuchsia pink side, but even a dusty pink would be nice. 3. 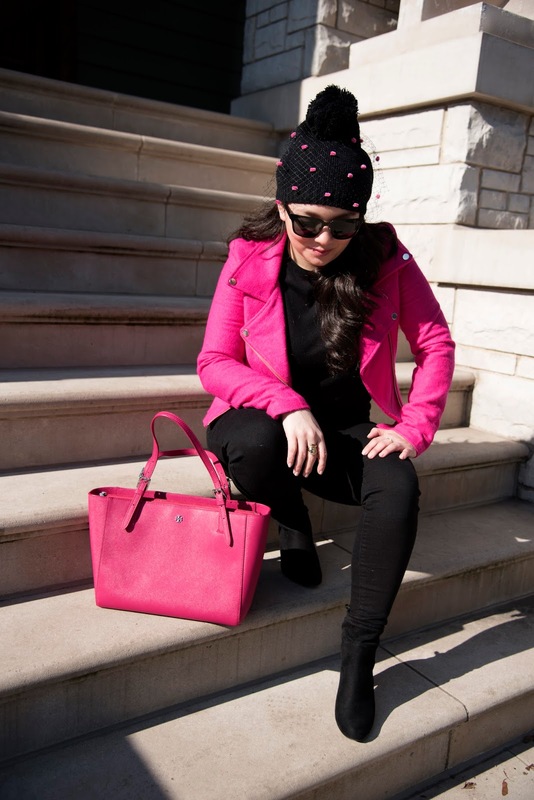 Try pink in your accessories. A purse, shoes or hat like mine would be great and show off some personal style. Before you know it you'll be rocking a pink moto jacket! Wishing you all a day full of love and laughter! I'm obsessed with this look! I really love that beanie and kiiiiiind of want one for my own, tbh. All this pink is just fabulous. I love your coat! Molly I know right! I love the netting too! 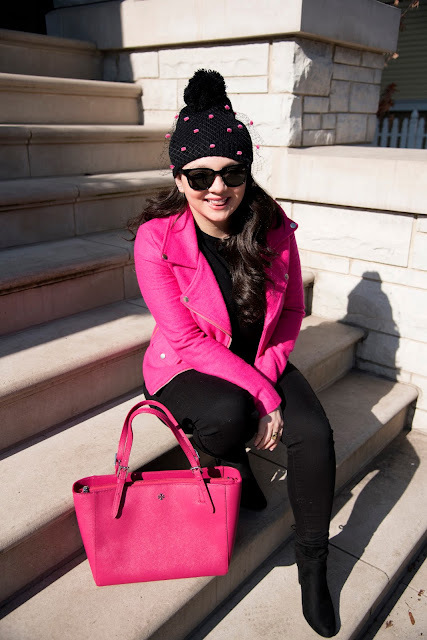 You look so cute in that pink coat! Aw I love your hat!! 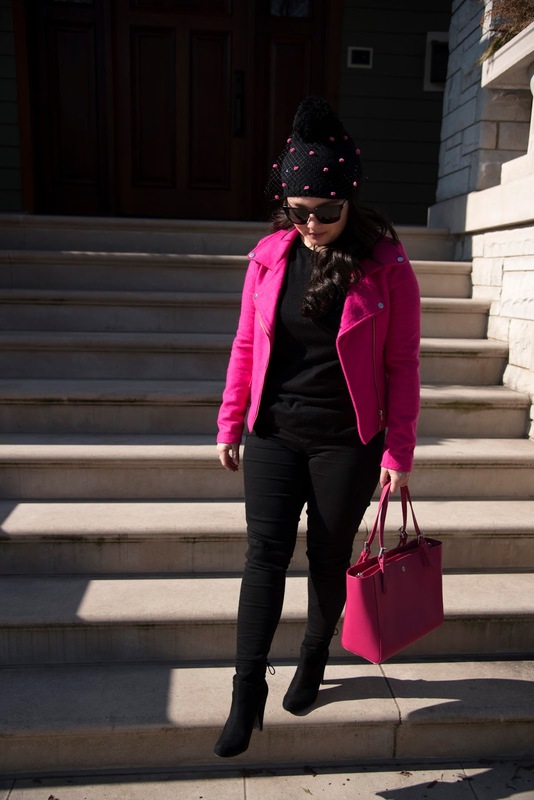 I love adding a little pink to my outfit, usually just a hint of baby pink in an accessory or a lipstick!! 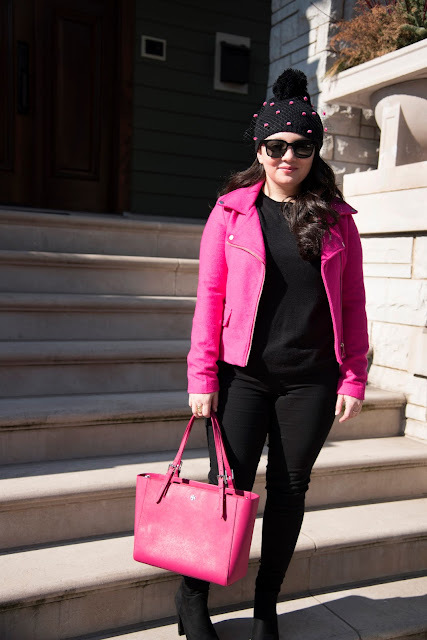 I'm totally obsessed with pink these days!! Love how you've worn it here! Alya!! yes I know right :) The pink is always a great choice! 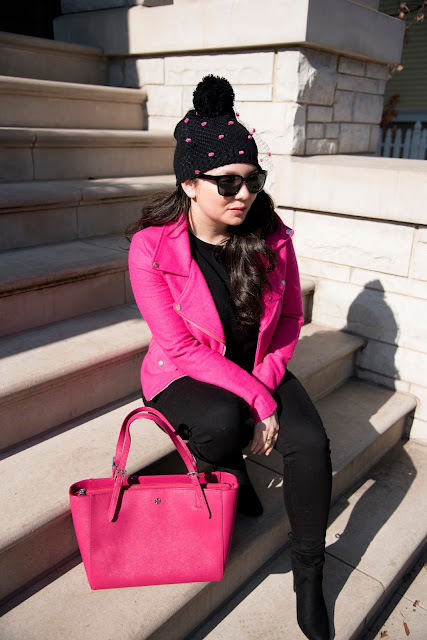 This pink girl is a HUGE fan of this post! ;) Happy Valentine's Day! This is the cutest! Love the pink!